Balmain Sunglasses, Highest quality prescription Rx - Eyeglasses.com since 1999. Balmain sunglasses are made by L’amy, one of the world’s oldest and highest quality eyewear manufacturers. L’amy makes all of its eyewear in its factories in France, and so every frame carries French styling and attention to fashion. Could Brigitte Bardot, Kate Moss, and Rihanna be wrong? The sunglasses collection’s signature – a circular badge with the Balmain “B” – is discreetly placed on the outer side of the right temple tip. 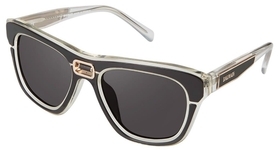 Understated since 1945, Balmain sunglasses exemplify low-key classic luxury.